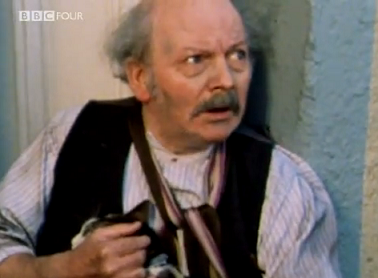 At Curious British Telly, we'd be completely lost without technology. If we didn't have the internet, then how on Earth would we track down back issues of the Radio Times? If the country's railway infrastructure disappeared, then God only knows how we would get down to the BFI Archives. Yes, a world without technology would mean a world without Curious British Telly. It's a terrifying scenario and, thankfully, one which should remain the preserve of our darkest nightmare. However, to get a taste of such an empty world, we decided to view The Changes. The Lights Aren't Coming On! All is well in an idyllic Bristol home which finds the Gore family bothered by little more than some interference on the TV set and the weather. However, within seconds, they're hurtling back towards a pre-industrial age post-apocalyptic landscape (a conflicting use of prefixes there, but believe us, that's what it is). The cause of this horror is down to an enraging 'noise' which emanates from any technology. Driven mad by the noise, people are compelled to destroy the "wicked" machinery and leave the country in tatters. Rumours are rife that things are better in France, so the Gore family attempt to make their way to the continent. In the melee, Nicky Gore (Victoria Williams) becomes separated from her parents. All alone in Bristol, she is urged by an old man to escape the city which is being engulfed by a mystery illness and to head for the country. 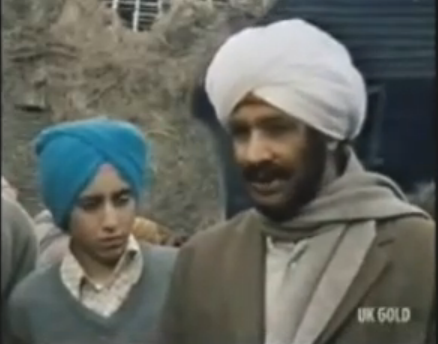 Taking up, initially, with a family of Sikhs - who are unaffected by the madness - she begins an adventure which will uncover the source of 'the changes'. The Changes was a children's post apocalyptic drama which was first broadcast at the start of 1975 on BBC1 in the 5.20pm slot. 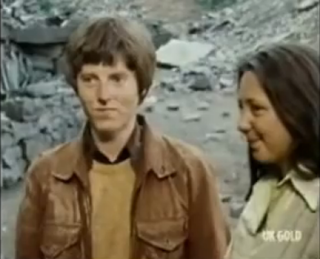 Ten episodes were produced each lasting 25 minutes and was an in-house production by the BBC. 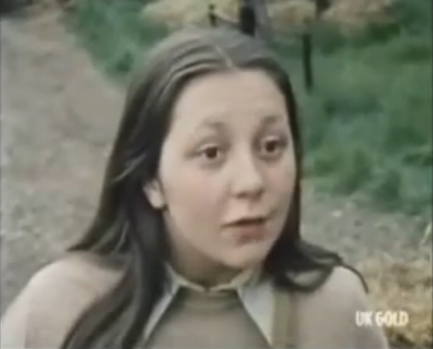 The series was based on a trilogy of books written by Peter Dickinson: The Weathermonger, Heartsease and The Devil's Children. The books were adapted and produced by Anna Home, a stalwart of children's television from the 1960s up to the late 1990s - the last show that she commissioned was The Teletubbies. 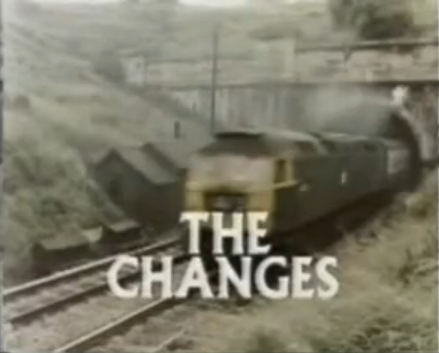 The Changes was filmed entirely on location and, as was the norm, entirely on 16mm film. 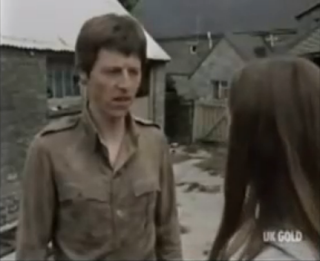 Locations were situated in the South West of England and included Bristol, The Forest of Dean and Sharpness. The synth heavy score was composed by Paddy Kingsland who was a member of the infamous and innovative Radiophonic Workshop. His main tools were an EMS Synthi 100 synthesiser along with sitars (to accompany the Sikhs) and then some basic orchestration e.g. horn sections and percussion. Paddy's symphony devising brain also came up with 'the noise' and discusses it here: "I remember the Noise, which was the thing that carried on when they were in trouble - I think I used about twelve different layers of continuous thrashing, awful sounds in that, and built it up to make it sound as horrendous as possible, and sort of ear piercing. And it does sound quite annoying!". The TV adaptation differs quite significantly from the trilogy of books by Peter Dickinson. 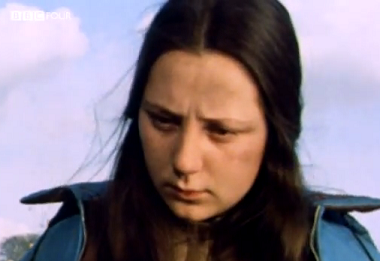 Nicky Gore, for example, is only in The Devil's Children and also sees Merlin - yes, the Arthurian magician - becoming addicted to morphine. Anna Home decided that there needed to be a central character throughout and didn't find the junkie Merlin angle believable, so changes were made. 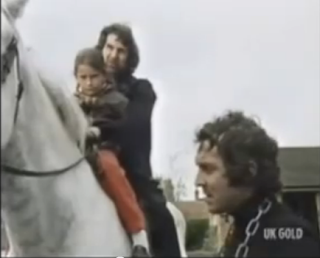 Peter Dickinson later described the TV series as "patchy" and his one visit to the set found him watching a pony be filmed coming out of a stable door for two long hours . 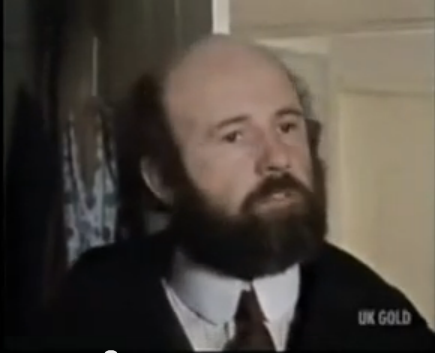 Dickinson continued working with the BBC on a number of projects, so his nose wasn't put out of joint too much. We had been wanting to watch The Changes for several years as post-apocalyptic dramas always capture our imagination. Obviously life would be complete hell, but we're always convinced we would survive. Although, to be honest, we would probably cry uncontrollably when we found out there would never be any more Brylcreem. Perhaps this is why we're so happy to view these types of shows, we can pontificate about how well we would survive, but from the comfort of our armchair in a civilised society. 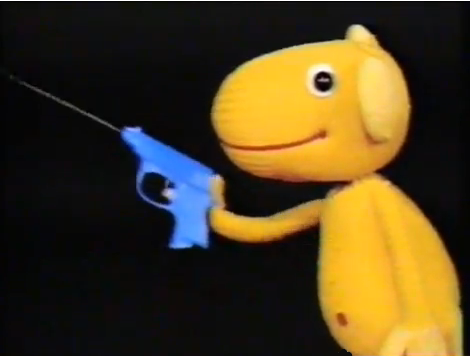 Up until 2014, there had been no commercial release of the series, so were forced to watch a second hand recording of the 1994 repeat from UK GOLD on YouTube. However, late 2014 finally saw a DVD release by the BFI! It being the 70s and a children's production, we feared we would encounter some shocking acting. We were pleasantly surprised, though, to find it was of a fairly decent standard. Victoria Williams makes for a well spoken and determined Nicky Gore. We were sure we recognised her from something and a little research revealed that she played the delightful Marjorie in ITV's The Riddlers, a firm favourite of ours. The only other main character is Jonathon, played by Keith Ashton who puts in an okay performance, but, unsurprisingly, had a limited acting career after The Changes. Of the peripheral characters, David Garfield in the role of Davy Gordon is quite brilliant at capturing the insanity of the new world. He's like a manic preacher determined to make his presence felt and is rather terrifying at times. The story takes on a number of strong themes for a children's show which always impresses us. Aside from the initial break down of society, there's time to get in mentions of murders, miscarriages and we see Davy Gordon literally drown in his own madness. Plot wise, the show manages to cram quite a lot in and there's jeopardy waiting round every corner for Nicky which provides plenty of intrigue for the viewer. At ten episodes, though, we found the series a bit too long and by episode seven, we were flagging. Anna Home discussed the reason for the length of the series in 1996: "Well, the amount of story, and also it's an advantage to have something at that length; it enables you to build the audience.". The show follows the usual post apocalyptic template: normality becomes shattered, an illness forces people out of the cities, settlements are created, invaders try to take over these settlements etc. However, The Changes deals with an apocalyptic event which isn't man made which gives the show a slightly different focus than it's contemporary Survivors. It gives the show a strong, mysterious edge where many questions need answering. Unfortunately, they're aren't always answered effectively. The final episode was rather disappointing. Sure, it builds up quite nicely as Nicky and Jonathon venture through the caves and the midpoint sees a trippy sequence played out, but then... well, it's a bit of an anticlimax and all resolved after a little speech by Nicky. Overall, we enjoyed the series, with it's grim portrayal of a selfish, alienated future where man essentially reverts to a primal form without technology. There's nice acting on show, some brave plot lines and a wonderful electronic score, but the journey Nicky takes from A to B is far too long; the resolution is not very satisfactory either. For this reason we probably won't splash out on the DVD. Skonnos 22 - A remarkably in-depth look at the show which features interviews with many of the cast and crew. The Changes Fansite - A detailed look at the series of a whole, taking in location details through to demands for a commercial release. Back in the 80s, we were routinely dressed up in some truly terrible jumpers. Distressingly, these jumpers now appear to be back in fashion. Some people never learn, eh? Anyway, these jumpers would certainly be more appealing if a simple needle and thread could convert them into animated beings. This, unfortunately, is not the case, so for now we'll just have to bear them being matched with equally distasteful chinos. However, 1982 saw one particular jumper making this transformation in Pullover. 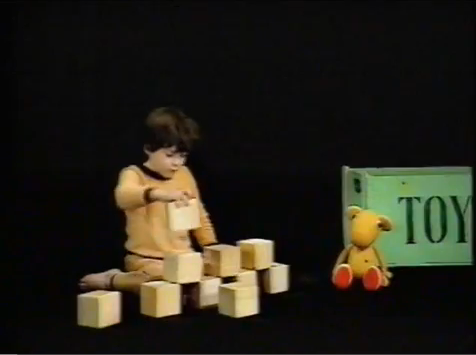 The first production from Pullover Productions (who later made Fox Tales), Pullover was a 1982 show created by Rosta Cerny and Susan Kodicek and broadcast by ITV. The show was backed by ITC entertainment and made at Kadek Vision - a long defunct company based at Shepperton Studios. 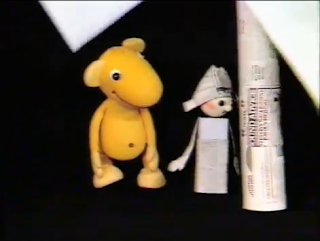 The lively music score was composed by Eugen Illin, who also composed music for German TV's translation of the 'fuzzy felt' Moomins series. The one human star of the show was the child (Danny Kodicek), who just happened to be the son of Susan Kodicek. There was one series of 13 episodes produced and they utilised Cerny and Kodicek's trademark black light theatre approach. Pullover examined that terrible ordeal where children have to go to bed. Sure, you've got the escapism of dreams to look forward to, but there's also the feeling of injustice. Why should the adults get to stay up and have all the fun watching fledgling police dramas such as The Bill? Children need to learn about limits, though, so they'll just have to go to bed when they're told. Once they become adults they can flout the rules all they want and turn up to work after 3 hours sleep and unshaven. Thankfully, for the child in Pullover, his mother has attempted to reduce his ire by taking his pullover and making a few changes to produce Pullover - a cute little animal who is part bear, part something else. Oh and he's yellow. Pullover magically comes to life each night, when the child is asleep. Creeping down from the bedpost, Pullover tends to find something intriguing in the child's bedroom which leads to an adventure - be it a balloon which transports Pullover up into the clouds or a toy penguin which takes him to the Antarctic. Pullover was a little before our television viewing period started, so we weren't even aware of the show until we started researching for Fox Tales. As that particular show was something which had kept our interest, despite not viewing it for 25 years, we thought that another Cerny/Kodicek show was definitely worth a peek. And we weren't disappointed. Pullover performs a neat trick by taking its viewers into a wonder filled world which taps deep into the core of children's imaginations. When Pullover is seen floating up into the sky and perching upon a cloud, he's performing one of those dreams which every small child has. Equally enthralling is Pullover's descent from the cloud-world which sees him sliding down a rainbow. I don't know about you, but seeing a rainbow as a child always stopped us dead in our tracks. It's little tricks like this that captivate your attention and leave you waiting for Pullover's next curious adventure in his fantastical world. The puppetry on display is excellent and feels more polished than that on offer in Fox Tales. The black light theatre aspect breathes life into the puppets, whilst the control and choreography of the puppets is really special - see the scene set at sea in the 'China' episode for the fantastic heights Cerny/Kodicek could reach. Being aimed at the preschoolers means that the characters all have a cutesy look to them. Some time and effort has gone into creating them and they help to make their little universe quite mesmerising. 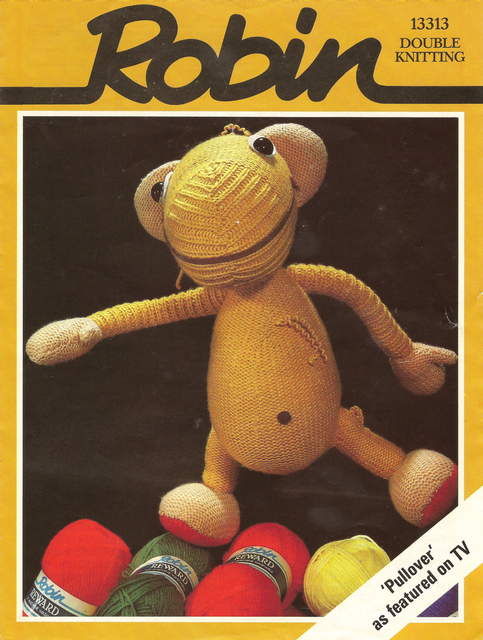 As a result of the series, there was an official knitting pattern released by the company Robin so that a Pullover toy could be created. Another mesmerising aspect is the music provided by Eugen Illin. It's a sprightly, jazzy affair involving xylophones, wind instruments, a glockenspiel (perhaps) and several other instruments in the mix. As there's very little speech in the programme - apart from the child at the start - the music is utilised to help reflect the mood of the story. It does this effectively and creates a dreamy soundscape for the characters to inhabit. 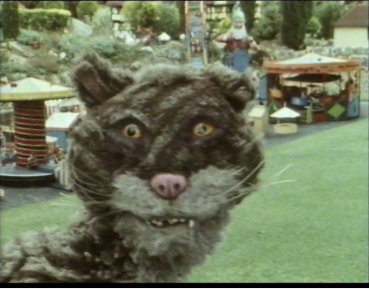 All in all, the rather simple stories blend together great aspects to make a very watchable children's show. We're at a loss as to why the show wasn't repeated more often or ever granted a commercial release. Eight of the episodes have been uploaded to Danny Kodicek's YouTube page and we can't recommend heading over there enough to investigate this curious show. We've got hold of a copy of the official knitting pattern to 'make' a Pullover - see below! If you want scans of the full instructions, then get in touch and we'll email over the rest! Some cats you want to sit on your lap and purr approvingly as you slurp a cup of tea and watch telly. Other cats you physically cross the road from just in case you catch something - you know the types, the scraggly looking ones who are most at home when they're rummaging through a bin. 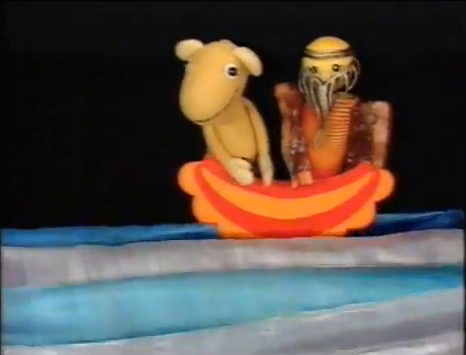 You wouldn't think they'd make a great children's TV host, but it turns out Scragtag wasn't too revolting.